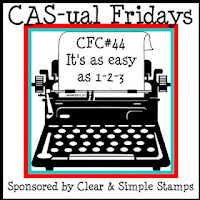 It is CAS-ual Friday time! This week "It's easy as 1-2-3". It can't get any more simple that this - create a CAS card with a pattern, image and sentiment! From last SU! workshop, I had earned one of the hostess sets - Ain't Love Grand. I loved this set from the time I saw it in the latest catalog. So happy that I was able to earn it before my SU Demo "retired" from being a demo. Now, I will be the first to admit, I am not the best when it comes to Copic coloring, because I am still learning, but in my opinion this came out pretty decent. I punched out my image with 1 3/4" circle punch, and then adhered that to a scallop circle. Then, from my new Paper Smooches border set Debonair, I stamped that to the bottom of my card base. 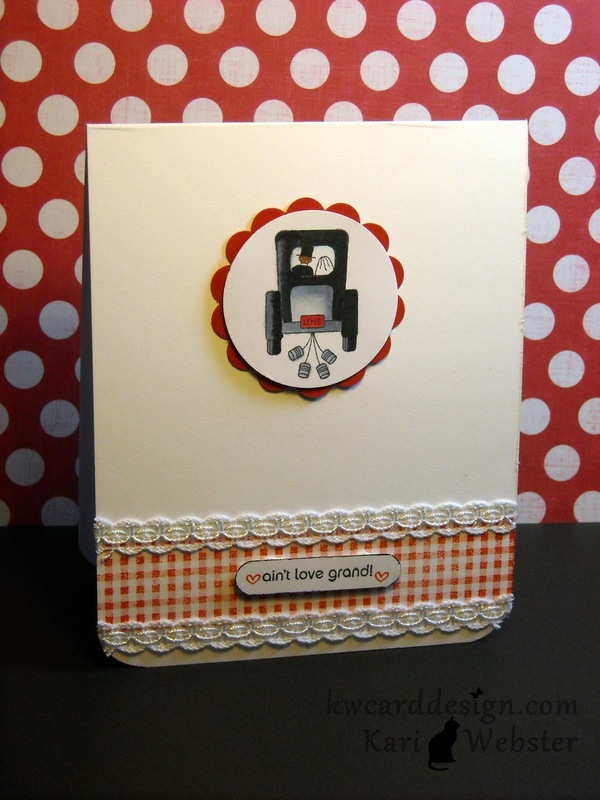 I added some trim to complete my border, and added my sentiment " Ain't Love Grand". Absolutely SWEET! I love the clean and crisp look of this card! So glad that you play along with us at CAS-ual Fridays! Fabulous! You nailed the challenge! Thanks for playing along at CAS-ual Fridays! Too cute! Thanks for playing along with us at CAS-ual Fridays!